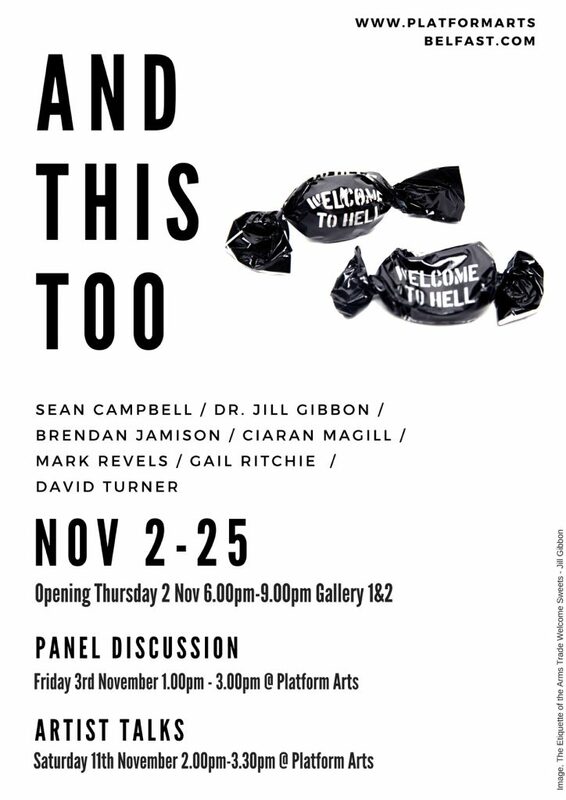 And This Too features seven artists whose work explores, represents or challenges our understanding of contemporary conflict. Their work reflects the diverse and complex issues which surround responses to conflict and includes drawing, painting, sculpture and installation. Much of this work is being exhibited for the first time in Belfast. The exhibition highlights the important role which artists play in offering alternative viewpoints of conflict. Art can change our perceptions or increase our understanding of events. This is crucial given the current state of heightened security in which we find ourselves. Speakers: Dr. Jill Gibbon, Leeds Beckett University; Dr Des O’Rawe, Queen’s University Belfast; Brendan Jamison; Gail Ritchie. All of the participating artists will be in attendance. An opportunity to join artists, creatives and academics in a lively and wide ranging conversation about how their work explores, challenges, represents or questions our understanding of contemporary conflict. From the First World War to drones and surveillance in the 21st century, the exhibition as a whole reflects seven individual responses to conflict and its effect on people, places and the environment. What impact can their work, or the work of any artist work have on our understanding of conflict? How does war touch us all – either locally or as global citizens? How is conflict – domestic, urban ,political represented by artists/galleries/museums and how is this experienced by visitors?